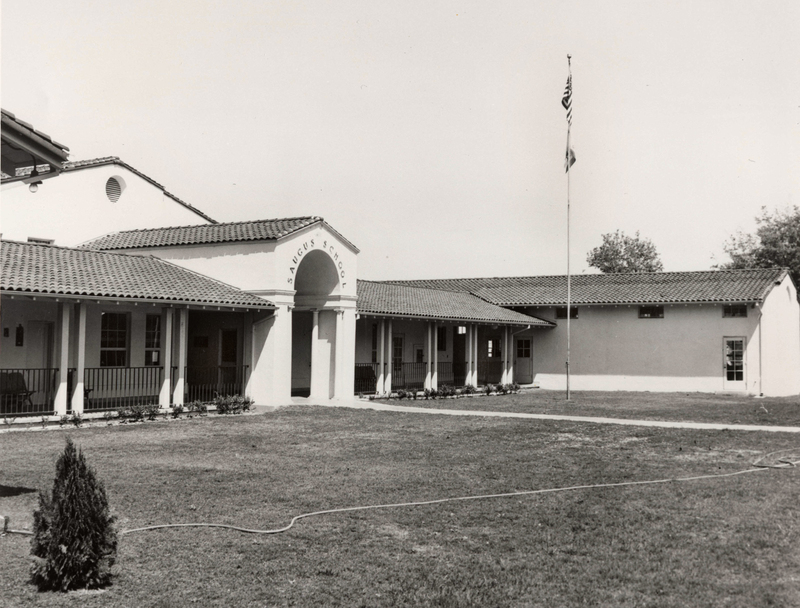 SCVHistory.com OX3601 | Saugus | Saugus (Elementary) School, 1938 Version. The original 1908 Saugus schoolhouse was knocked down in 1936 to make way for this iteration, which survived as a school until 1978. After that, it became a shopping center. Undated photograph.